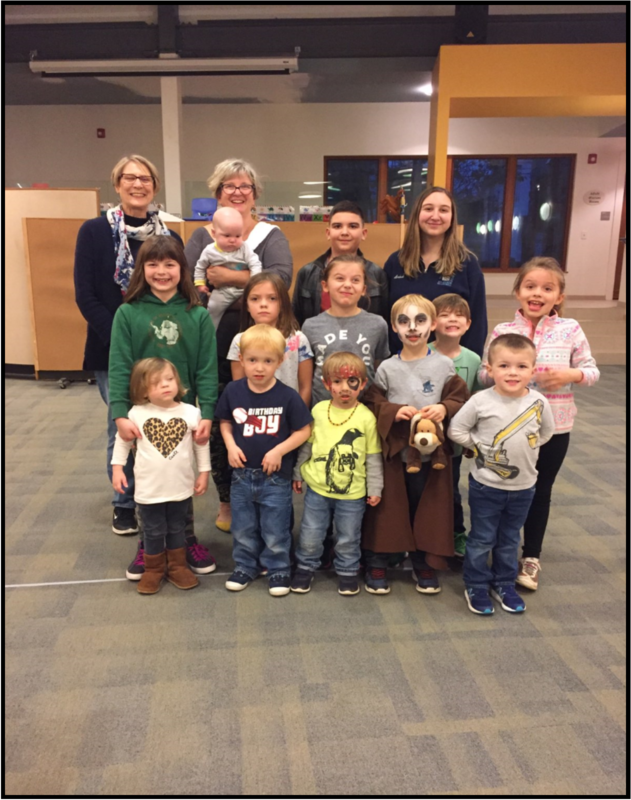 Adults and youth from our congregation watched some of our youngest members and their siblings, so parents could have an evening out. Niah and Joe Bonina, Greg and Meg Callow, Stephen and Megan Davis,Michael and Victoria Dougherty, and Chris Sorenson and Missy Sgambati all enjoyed dinner out. Meanwhile, back in Faith Hall, Santo and Dominic Bonina, Melissa, Isabella and Robbie Brobst, Brian and Judy Bumpus, Emmett Callow, Amelia and Aiden Davis, Aston Dougherty, Malainie Hibler-Stoma, Burt and Marcia Horner, Darcy, Magnus and Delaney Sorenson, and Emalyn and Sophia Stoma had fun and games, play dough time, block building, supper, a video and a fabulous evening all around!